The Universal Law Of Polarity is the last Law I haven’t shared with you that I teach. 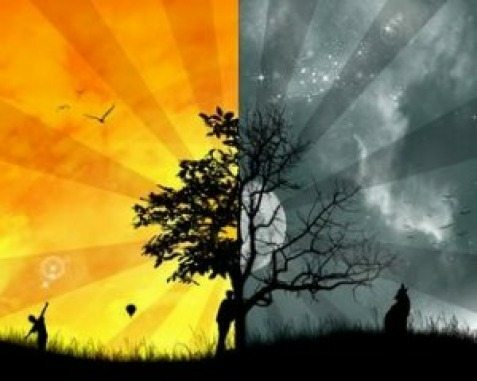 This Law states that everything has an opposite: hot/cold, up/down, dark/light, good/bad. You need to understand that what may be taking place out in the world right now, is the polar opposite of what is really in your inner heart and your desire. If you didn’t perceive something as not ideal or something you didn’t want in your life, then how would you be able to perceive and appreciate it’s opposite? The things you really want? How would you be able to help change these things? Poverty/wealth, death/life, questions/answers. All opposites, right? How could you appreciate life, success, light, well being or anything, if you didn’t have it’s opposite? I know there have been some people in my life that have provided for me the opposite situations and opposite feelings that I have truly wanted to feel and have. They actually are my greatest teachers, now as I look at it closely. Living within the opposite of what I wanted, created pain and many tears. Eventually I have found compassion for those people, I have gotten stronger and I now live most of my moments in more joy than I ever knew existed. All because I experienced the polar opposite. Does this make sense to you? Think about your own life and the times you have lived the opposite of what was in your heart. How did you get through it? Eventually, hopefully you too learned from living in the polar opposite of what you wanted and it taught you to find compassion and then move into what you wanted for your life. By developing the understanding and learning to fully accept and surrender to whatever may show up in your life, as a part of your growth and moving forward, you are on the path to releasing what isn’t serving you. This Law ties together with the last Law I wrote about a couple weeks ago. The Law of Perpetual Transmutation of Energy. I spoke about how some people think that everything originates in your thoughts. That is not accurate. Everything is already in the Universe. When it gets to your thoughts, it has begun to move from non-form into form. The Law of Polarity says, everything exists in the Universe, which means it’s inside of you. Why is this so powerful? It means you don’t need to be the most intelligent person there is in order to succeed at something. Every single person has the exact same potential. You may ask, “How can that be?”. We are all created from the same Source. I say this Source is God. Yes we have our different strengths. We have different things that may come easily to us. Only if you know that we all are created equal and we all have everything inside of us to create a life you love, wouldn’t it be easier to release all of your blocks and resistances to things? The blocks that keep you from moving forward to success with in your professional and personal life, come from your mindset and limiting beliefs. Do you agree with that? When you have an idea about something, the way to manifest that idea is present. 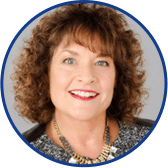 When you understand the Universal Laws and you do the best to live within them consciously every day, you will begin to manifest more of the people, places and things into your life you truly want. It will take practice to slow down, stop living in the auto-pilot I often speak of. To quiet your mind and thoughts each day through taking deep breaths, meditation and conscious appreciation, you will move forward in your life, understanding these beneficial Laws of the Universe. The Law of Polarity is about keeping the energy flowing in the right direction, similar to how the energy flows in a battery. If you have the batteries in backward in any electrical device, it won’t work will it? When you are aware of this important Law, you too will make the conscious decisions each day to keep your energy flowing in the direction of living a successful life in every aspect. Please leave me a comment or send me an email with your thoughts on this Law, will you? 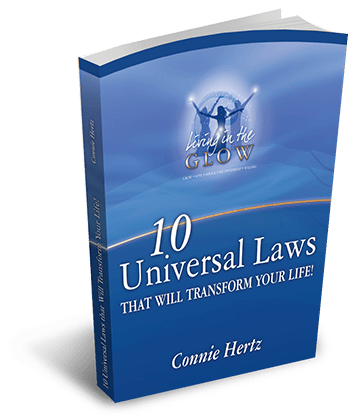 October 5-12, 2018 is a chance for you to learn about and practice 10 of my favorite Universal Laws in paradise. Our Glow Kauai Spiritual Vacation Retreat is a place to simply BE. You will slow down, have fun, explore this magical island with a small group of like-minded people. Will you take a few minutes to look over all of the details and watch the videos? If it is speaking to you, contact me ASAP!